On 06/02/2018, CBI announced Job notification to hire candidates who completed Any Graduate for the position of Inspector Of Police. 1. 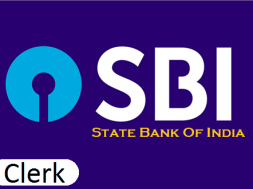 Eligibility criteria: Central Bureau of Investigation requires the services of suitable Bank Officers. Persons working in the equivalent grade on regular basis under Public Sector Undertaking, possessing at least 05 (five years) executive experience in Vigilance or Investigation or intelligence work. Period of deputation including period of deputation in another Excadre post held immediately preceding this appointment in the same or some other Organization /Department of the Central Government shall not exceed 05 (five years). 2. Qualification: A degree of recognized university. 3. Preference: Bank Officers below the age of 50 years; Bank Officers who have served in credit department and/or handled advances portfolio. Bank Officers who have served in the Vigilance Department for a period of 2 (two) years. Age: Maximum age limit for appointment by deputation not to exceed 56 years on the closing date of application. Selection Procedure : Eligible and willing Bank Officers, would be selected based on their work experience and performance in personal interaction conducted by Central Bureau of Investigation. How to Apply : The applications duly completed in all respects must reach The Deputy Director (Pers. ), Central Bureau of Investigation, Head Office, Administration Division, Plot No.5-B, 7th Floor, CGO Complex Lodhi Road, New Delhi-110003 within 45 days from the issue of this letter and vacancy notice posted on the Central Bureau of Investigation website whichever is later. Bank Officer may forward an advance copy of the application to the Dy. Director (Pers. ), Central Bureau of Investigation, for information. Nominations received after the expiry of the due date or without the required enclosures will not be entertained. 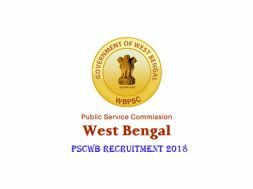 West Bengal Police Recruitment 2018: Vacancy for 10TH pass Lady Constable & last date will be 1/2/2018 for submit the Application.